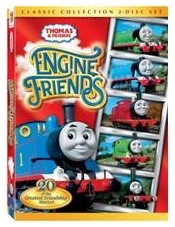 The giveaway for Thomas & Friends: Engine Friends 2 Disc Set ends TONIGHT! 20 cute episodes! Good luck! !